Dennis Fox is the Founder of the Client Development Institute, an organization which focuses on helping its clients attract, develop, and retain loyal employees and loyal clients through its pre-employment tests and its acclaimed curriculum for developing sales, management, and services personnel. A featured conference speaker, Dennis has conducted over 2,000 meetings and workshops for clients ranging from small businesses to Fortune 500 Corporations. Some of his corporate clients include ADT, American Express, Lockton, Marriott International, Marsh USA, Morgan Stanley, Orkin, Swisslog, TruGreen, and Toyota, and Wachovia Bank. Association conferences Dennis has addressed include the Association of Water Technologies, The Conference Board, National Pest Management Association, National Restaurant Association, and Textile Rental Services Association. Dennis Fox knows firsthand the pitfalls of “old school” selling, versus the power of “helping clients succeed”. He has earned top sales honors everywhere he has worked, from selling pots and pans – the hard way – to investment counseling in the UK- the productive client-centered way. At 28, he was Vice-President of American Salesmasters, one of the world’s leading sales and management training companies. Fox also translated his fundamental idea – focusing on the needs of the client – into powerful sales training courses, including Selling the Seven C’s™, Mastering the Telephone™, “to his timely “Mastering Referrals During Turbulent Times”™. 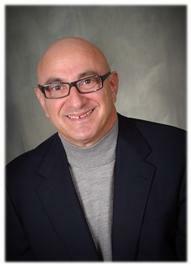 His articles have appeared in Sales and Marketing Management Magazine. He has also contributed chapters in three books, The Winning Spirit and Inspiring Others to Win, both sponsored by the US Olympic Committee, and Ready, Aim, Hire. He also served as the motivational consultant for the U.S. Whitewater Slalom Crew – in 1981, the year they became World Champions. Dennis has also become an Independent Business Associate for Integrity Solutions, a global business solutions provider that has certified over 20,000 facilitators and through them, 2 million graduates in 85 countries in the world with their acclaimed for Service Professionals, Integrity Service® and behavioral change processes. Dennis has earned certification through Bigby Havis Associates, world renowned organizational psychologists, to implement the Strategic Success Modeling™ (SSM) process for his clients. In 2008, Dennis earned his Certified Master Coach designation, one of a select group certified worldwide through The Behavioral Coaching Institute.